Everyone has their own morning ritual to help them get started off on the right foot. This can be doing a series of stretches in the morning to work out sore muscles or walking the dog to get a little fresh air. The art of the morning ritual also lends itself to food and is something your average American knows a thing or two about. Coffee shops have seen an unprecedented boom over the past decade, providing millions of people the drinks, easy lunches and snacks they need to get through their day proper. Your establishment should do more than just provide a tasty soup or convenient drip coffee. You need to get to the heart of what people need to have the best day possible. The United States is hungry for coffee. The country imported over 27 million bags of coffee back in 2014, totaling one-fourth of all global imports. That makes it the largest single buyer in the world! Additional statistics have shown American consumers drinking an average of a cup and a half of coffee per day, cementing it as a drink even more popular than water itself. Specialty coffees represent nearly 38% of American coffee cups and are generally the highest quality available worldwide. One of the great things about a coffee shop is how it has something for everyone. Those that want a quick coffee can treat themselves to a drip, while those who prefer something more robust can order any number of lattes, mochas or cappuccinos. Hot soup is a huge favorite among many for its heartiness, flavor and portability. Women have been found to be twice as likely to eat soup for lunch than men and, collectively, Americans will eat over 10 billion bowls of soup per year. Coffee is the perfect pick-me-up for the sleepy day laborer. Did you know it also has a wide variety of health benefits? While this may not necessarily apply to a sugary latte filled with syrup and cream, black coffee has been linked to a number of beneficial elements regarding the human brain. Three to five cups of coffee per day can prevent the cognitive decline that comes with age. This is especially prominent considering dementia is a debilitating condition still being actively studied by scientists as we speak. A good cup of soup should be easy to prepare and even easier to store. Cups with lids are a must-have for any coffee store worth its salt, as the vast majority of customers that drop by have places to be and on a very tight schedule. Just the prior year over 30% of deli operations actively planned on enhancing their soup stations to attract more repeat and new customers. Popular soup types include tomato, clam chowder, chicken noodle, vegetable and cultural variations (such as Mexican chicken soup). It’s hard to have a bad morning when you encounter the rich scent of roasted coffee beans. Your shop needs to keep a close eye on what people are actively searching for when they head off to work or school. 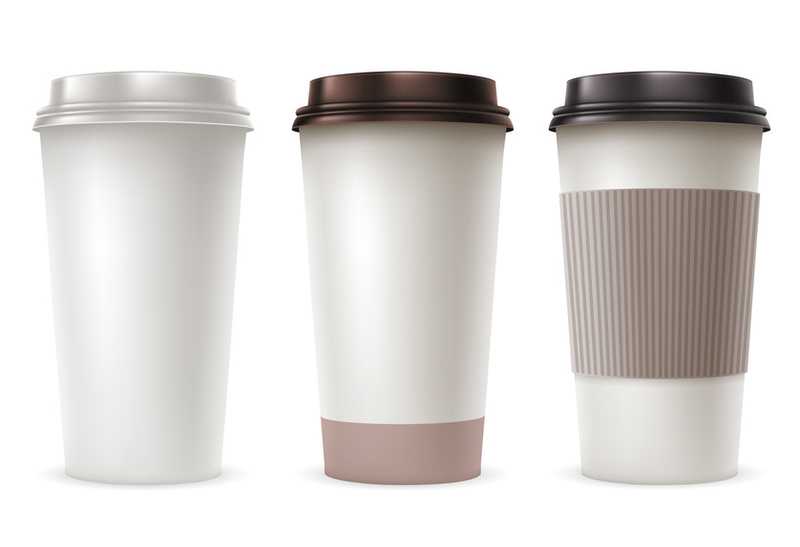 Paper hot cups with lids and a strong hot soup container are two of your best items and will see the most purchases on average. Since drip coffee is still a common choice for the busy visitor, coffee stirrers and creamer should always be on hand so customers can customize at will. Rotating your soups every day can also entice people to make multiple stops to see what else your store has to offer. Coffee, soup and bagels. What else does a good morning need?